Public Service Commission (APPSC) was formed when the State of Andhra Pradesh formed on November 1, 1956. Earlier the commission was known as the Andhra Service Commission (formed in 1953)which based on the regulations of Madras Public Service Commission. 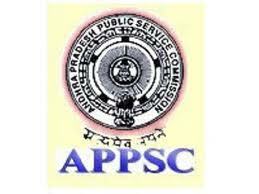 Later in 1956, APPSC was formed by merging the Andhra and HYDERABADPublic Service Commissions. The major function of APPSC is that it makes Direct Recruitment under the Article 320 (1) of the Constitution of India. Those recruited are mostly lecturers, doctors, engineers, deputy collectors, forest officers, police officers, and clerks.